Rabbi Moshe Tessone is Director of The Sephardic Community Program at Yeshiva University and a distinguished faculty member at Yeshiva University’s Belz School of Jewish Music and at the Isaac Breuer College of Hebraic Studies (IBC) where he teaches Halakha (Jewish law) and Sephardic customs. Moshe Tessone has toured extensively throughout North America, Latin America and Israel as a distinguished speaker on topics related to Torah, issues of Sephardic interest and Jewish education. He has also performed as a concert soloist featuring Judeo Arabic and Judeo Spanish religious music, prayer and liturgy. 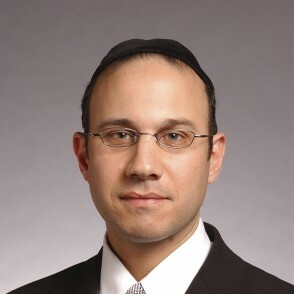 Rabbi Tessone received his rabbinic ordination from Yeshiva University, and earned his Masters degree in Jewish Education from the Azrieli Graduate School of Jewish Education and Administration at YU. Moshe Tessone released his debut Sephardic Album/CD, entitled Odeh La’ El in Jan 2005. His newer album of original Jewish Sephardic pop music entitled Hakshiva was released in March of 2006, to great acclaim. Contemporary Sephardic Communities in America: Who Are the Sephardim? Hallel on Yom Ha’atzmaut? : Is There a Halakhic Basis?